Big bulky items can be difficult to lift, move and transport. That’s why you should choose the experts, Fred’s Junk Removal to haul away your large junk items. Hundreds of our customers have avoided paying the high minimum fees the other guys charge by choosing Fred’s Junk Removal. Book your single item junk removal today and lock in our low rates. Full Service Removal – From indoors, upstairs or back yard. To provide the best and most reliable service we maintain a limited service area. We service Central San Diego south of highway 52 and west of the 125 freeway from the coast to the US border. Fred’s Junk removal the best choice for your locally-owned and family operated junk removal in San Diego. we are available for junk removal at your home, retail location or business office. We’re locals too and dedicated to providing an eco-friendly, affordable junk removal experience that exceeds your expectations. Check out our most popular junk removal requests. We’re in your neighborhood daily and with our convenient online booking, we are able to remove your junk quickly with same day and next day service. Our curbside service allows you to simply leave your junk in a drive up location such as the driveway or alley and we can pick it up without you being present. We are San Diego’s most reliable junk removal service with a 100% on time record, to do this we have a limited service area and employ an online booking program that requires less than a minute to complete your appointment. We are the top rated junk removal service in San Diego and our customers use us again and again. Our award winning reputation for low prices and excellent service have been noted in stellar reviews by Angie’s List and Yelp . We list our prices up front so there is no guessing what it might cost to get rid of junk and trash. Can the other guys say this? We also periodically offer junk removal specials with super low prices. Fred’s Junk Removal is well equipped with heavy duty junk and trash removal trucks and trailers. Our trucks are fully insured have registered motor carrier permits with the California Highway Patrol which performs random safety inspections of our Vehicles to ensure the safety on our roads and highways. We have over eleven years of junk removal experience and a 100% on time record. When you book a junk removal appointment online you will receive an email confirmation, a reminder the day before and we will call ahead to let you know we are on our way. Thank you for considering Fred’s Junk Removal we look forward to helping you get rid of the junk and clutter. If you have any questions about our service you can check our our junk removal FAQ’s. 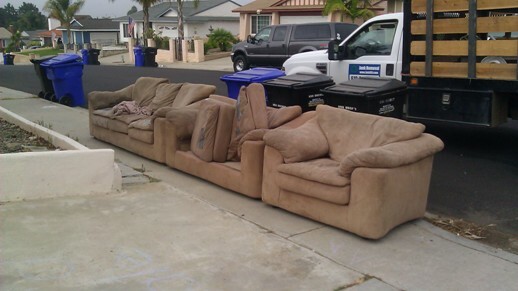 Here are examples of what we will haul away with a curbside $49 junk removal special. 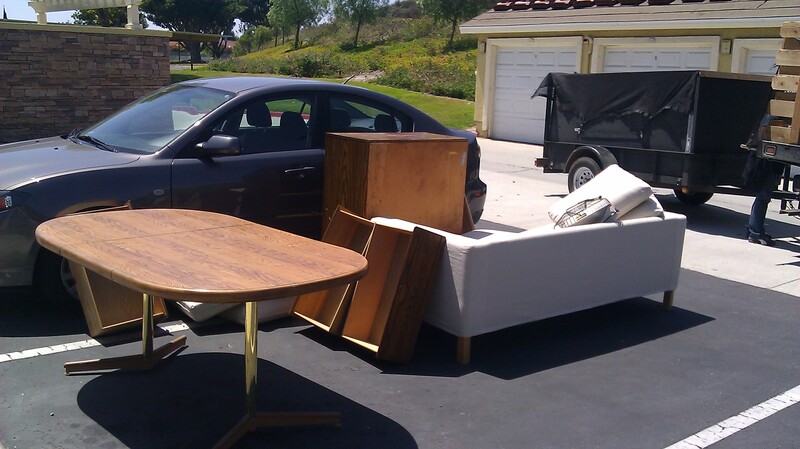 Here are examples of what we will haul away with a curbside $79 junk removal special. 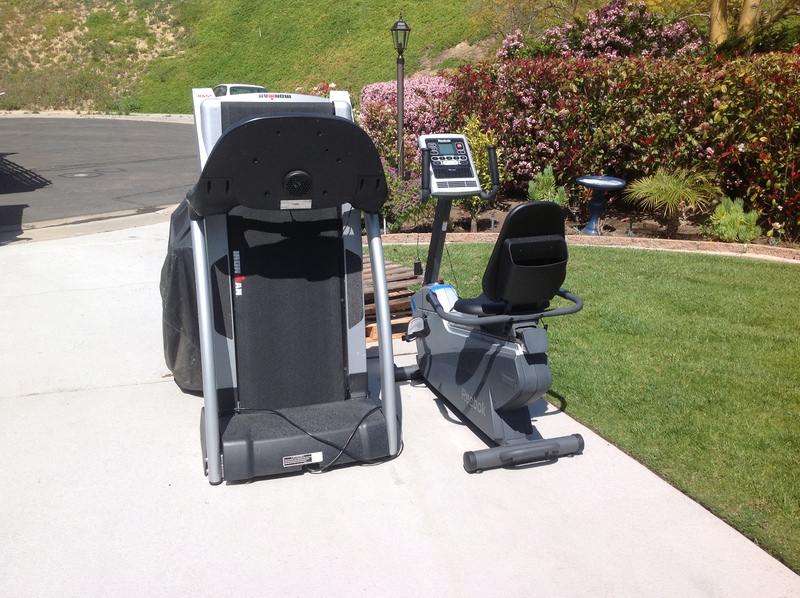 Here are examples of what we will haul away with a curbside $99 junk removal special.